What Defines a Twin Tip Kiteboard? There are many styles of twin tips on the market, freestyle, freeride & wakestyle. The board is a key element to kitesurfing so picking the right board to suit you will aid you in developing your skills as a kitesurfer. 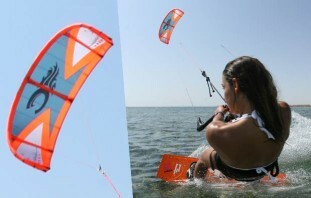 Unlike kites, it can be quite hard to tell the difference between the different styles of board available. In this blog post we will explain the different features that define how a kiteboard performs and then give you an overview of the main styles of board available and how those features effect them. All this should help you start understand what is the correct board for you. There are several fundamental design features which aid in giving a board specific characteristics. We’ve attempted to outline the key features of each but as with any type of board feature, it’s how you combine them that ultimately defines how a board will perform. Concave describes the curvature of the base of the board from rail to rail. Nearly every board on the market will have a concave bottom, be it a double concave or a progressive concave to a flat base. You can see the concave in your board by looking at it from the tip down. The main aim of a concave bottom is to allow water to be channeled in a certain direction to allow greater upwind ability and increased speed. You will find most entry/freeride boards have a single concave bottom to them. The benefit of a single concave vs a board without a concave is earlier planing, better edging and upwind ability (crucial for beginners), extra control, more grip and better directional stability when riding the board flat. The double concave is usually found on higher end freestyle or wake style boards. This adds stiffness to the centre of the board but also allows water to be channeled through the tips creating more pop. The double concave helps to cushion hard landings as it breaks the water easily, making it great for the rider looking to unhook. Usually found on lighter wind boards, the minimal rocker allows more contact with the water which helps generate maximum amount of power in less wind. The downside to a board with a flat rocker line is that you can easily get overpowered; the board does not handle chop too well and you can bury the tip in to the water if you are learning. A high rocker line tends to be found on more wakestyle boards. A higher rocker is good for high winds or fast landing tricks. With a high rocker line the board feels more manoeuvrable under the foot and has a smaller turning radius which is not ideal for everyone. The downside to having a high rocker is that it will not perform well in lighter winds. A medium Rocker is found on most boards in the market, this makes the board great at everything, however it will not excel at all sides of the sport. An outline is the overall shape of the kite board, as seen from the deck or the base. The outline gives your rail contact with the water. It also contributes to the all-round attitude and feel of your board. 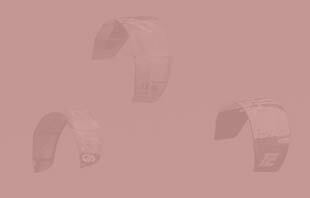 There are no set categories to an outline, however we will look at how a curved outline differs from a straighter outline board. A straight outline board tends to have only a small difference of width between the centre and the tip. A straight edge gives more resistance to the water surface for better upwind performance and a better pop off the water. A curved outline board has a larger difference of width between the centre and the tip. A rounder outline allows better carving abilities, easier high wind control and a more responsive board. Channels tend to be found on the tips and underside of some boards. This gives extra grip, allowing the board to be used without fins and helps break the water up for softer landings. You tend to find most wake style boards are channeled in case the rider wants to hit obstacles with the board. A rounded tip has less pop then a squarer tip however is much better for carving turns. This is why it is found on most freeride kiteboards. Width is a massive factor in kite boards; it may not be a defining feature for most people when choosing a board, however it should be something you are aware of. Most average boards tend to be about 38cm-41cm in width. We are going to look at narrow and wide boards as understanding the outline and tip shape will aid you in being able to spot any style of board on the market at just a glance. Be aware when you add 1cm in width to the board it adds a lot more surface area than 1cm to the tips. A wider kite board will give the board extra surface area allowing for faster water starts and better pop. A wider board tends to be more stable in the water, however if it’s too wide you will find the board hard to control in powered conditions. Most beginner boards tend to have a width of about 40cm, and the large light wind board can be in the 50cm mark. Flex describes how stiff the board is, there are 2 main ways in which a board flexes tip to tip (Longitudinal flex), or between edges across the width of the board (Torsional Flex). There is a way you can test the longitudinal flex of a board by holding the board straight and pushing in the centre, doing this you will be able to tell how flexible your board is. Manufacturers tend to use, fibreglass, carbon, kevlar or different methods of shaping to make the board flex they way then want it to. Softer boards tend to be a bit slower through the water, however they deal with choppy conditions much better, Most beginner boards/freeride boards tend to have a soft flex pattern. Most wakestyle boards tend to have quite minimal amounts of flex to them, this makes them fast and allows them to build up a large amount of pop, however a harder board tends not to deal with choppy water conditions too well. A freeride board is designed to be extremely versatile in all conditions, though generally more suited to riding where you are powered up. Most freeride boards tend to have a rounder outline which allows for better surf and carving abilities. The tips on a freeride board tend to be slightly curved off and not carry as much width in them, this allows the board to handle better in waves. The flex will be soft to medium allowing the board to carve smoothly. A freestyle board is designed for the rider wanting to really push their tricks hooked and unhooked. They tend to be slightly stiffer than a beginner or freeride board to allow for extra speed and quick explosive pop. Like the beginner board, the freestyle boards usually carry the width through the tips. They tend to feature a medium to high rocker and a straighter outline to allow the board to drive upwind through the water. A wakestyle board is designed for fast powered tricks and usually unhooked tricks. 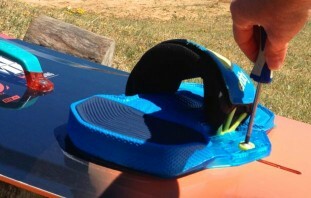 They tend to feature a stronger foot strap insert to allow the user to fit boots to the board. Most wakestyle boards will have quite a large rocker which produces a better progressive pop out of the water. The board feels free under your feet and maximizes the freedom of movement and control in all terrain conditions, however this can affect the upwind and light wind ability of the board. As well as this you will tend to find a double or even a quad concave bottom to allow the water to be channeled through the board and break surface tension when landing unhooked moves. Channels along the rails for extra grip means these boards can be ridden with or without fins. There are many boards on the market aimed at beginners. This does not mean the board will last you one season then you will have to sell, it means it will feature some basic design elements to achieve early planing (great for board starts) and better grip. Most introductionary boards will look fairly similar to freestyle boards, wide tips and a straighter outline, to help carry the speed. They will usually have a soft to medium flex rating allowing the board to cope with the chop and the rider to focus on their stance and position; a single concave for easier upwind ability and edging control. Hopefully this post will give you some insight on board shape and design allowing you to make the right decision on your next purchase or your first purchase. Next time you are on the beach why not see if you can borrow your friends boards and feel the difference between a few different brands and a few different styles. 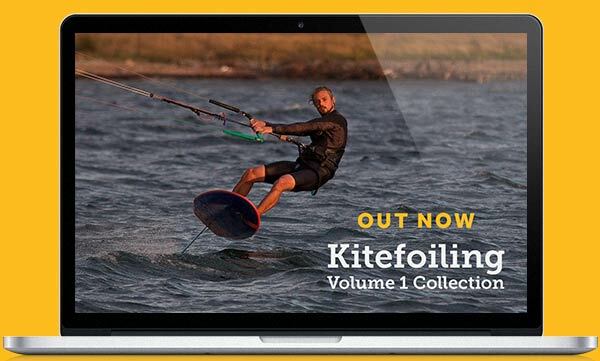 It’s great to walk in to the a kite shop fully informed, however the best way to know if a kiteboard is for you is to go out and ride as many as you can. Why not have a look at these posts to get even more knowledge on board shaping and design. Does fin placement make a big difference to the ride of a board? Does fin shape and size make a big difference to the ride of a board? Why do boards have full wood cores? Tech Series: Does Fin Shape, Size And Foil Make A Big Difference To The Ride Of The Board?